The amount of support from the Tap2Tag community has been overwhelming, users have shared their experience with Tap2Tag via social media, friends/family and group meetings. 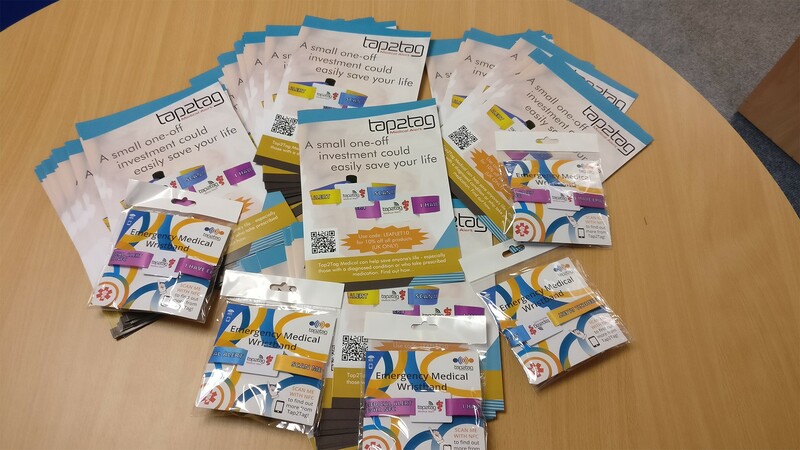 We want to give an opportunity for those who are passionate to spread the word about Tap2Tag; in particular those working with special interest groups and the NHS. We have had tremondous success from those who have signed up to our list and shared Tap2Tag products using our leaflets, we continue to thank anyone who has participated in sharing our leaflets. If you would like to join our list and be given the opportunity to share the power of Tap2Tag, fill out the form below.